During the cold winter months of the year, you and your family depend a great deal on your home's heating system to provide you with the level of comfort inside your home that you are accustomed to, but if your heating system isn't working like it should be, you and your family can be in for a cold night. 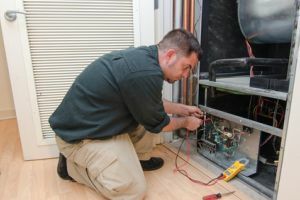 Heating system issues are no joke, as your system plays a large role in not just he overall comfort of your home during these times, but also has a major impact on the safety of your home and the health of everyone inside. Here at Mobley Heating & Air, our team of local air conditioning and heating experts understand exactly how important your heating system is to you and your family, which is why we make it a point to ensure you have access to the high quality heating repair services you need right when you need them most. Don't take chances when it comes to your home's heating system. Give our team of heating contractors a call today and let us provide you with the service you need to keep your heating system running properly year after year. Here at Mobley Heating & Air, each and every one of our local air conditioning and heating experts are fully licensed, trained, and experienced in the field, letting you have peace of mind in knowing that no matter how severe your issue might be, you are going to receive the high quality heating repairs you need to get your system running like new once again. Our team of professionals will work quickly and accurately to diagnose the cause of the issue and ensure that it is completely resolved before we call the job done. If you have any questions about our full line of high quality heating repair services, or if you would like to schedule an appointment for consultation with one of our specialists, give us a call today. Our team of experts are always standing by and would be more than happy to assist you in any way we can. Heating systems are complex pieces of machinery, and as such, there are a number of different issues that can arise with them over time. Anytime you notice any of the following issues with your system, or you have an issues that we haven't listed, pick up the phone and give our team of local air conditioning and heating experts a call today. You smell gas-like odors anywhere in your home. There are strange squealing or rumbling sounds coming from your heating unit itself. Your blower fans seem to constantly be running. Your thermostat isn't functioning properly. You notice you aren't getting heat to certain areas of your home. 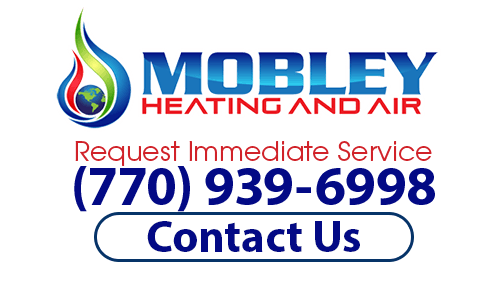 If you are looking for quality heating repairs, then please call our trusted heating contractors at (770) 939-6998 or complete our online request form.